This month, I would like to discuss the importance of organic foods. Incorporating organic foods into our diets goes a long way towards maintaining good health and preventing many illnesses, particularly cancer. Organic food is not so much what it IS, as much as what it is NOT. Or, rather, what it does not contain. There are federal requirements which foods must meet in order to be labeled "organic." Land must be free of federally banned chemicals—such as fertilizers, insecticides, and herbicides—for 3 consecutive years. Farmers are required to keep accurate, detailed records of their food production, purchases, practices, and keep a written management plan. Farmers must register with the U.S. Department of Agriculture and be certified. A public or private certifying agency then does annual inspections and periodic testing of soil and water. Farm animals (livestock and poultry) must be fed 100% organic feed grown on untreated land. No growth hormones or enhancers, antibiotics, or medications may be given to the animals, with the exception of vaccinations. Dairy animals (cows, goats, sheep, etc.) must follow an organic regimen for one full year before their milk can be certified organic. Their milk cannot be blended or come into contact with non-organic milk. Animals are to be treated humanely, given clean water, clean bedding, and allowed to go outdoors for pasture, exercise, and fresh air. Produce cannot be treated with toxic or synthetic materials (synthetic pheromones can be used as pesticides). Processed foods must contain no more than 5% non-organic ingredients (other than salt and water) to qualify as organic. 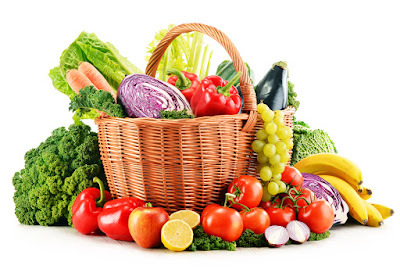 Organic foods and goods cannot be packed in materials containing anything that might contaminate it, such as fumigants, fungicides, and preservatives. Water used during processing must comply with Safe Drinking Water Act standards. There are 3 drawbacks to organic foods. 1) Because they do not contain preservatives and other chemicals, they are highly perishable. You should inspect organic foods as closely as possible before purchasing and pay close attention to expiration dates—these are more significant with organic foods than non-organic foods. 2) Organic food is costly. It can cost 2 to 3 times more than non-organic. There are numerous reasons for this, including labor-intensive practices, special steps taken to protect natural resources, lack of government subsidizing, and the small size of organic farms. Hopefully, as organic food becomes more widespread, competition will cause prices to come down a little. 3) Availability is limited. However, as demand for organic food increases, availability is increasing. Realize that "organic" is not synonymous with "more nutritious." It's just healthier and more ecologically sound for the above reasons. Despite the disadvantages, organic food remains our best option for a healthy lifestyle. While to convert our diets entirely to organic may seem difficult (although not impossible), every little bit helps. Below are some web sites where you can purchase organic groceries.